No valid paranormal group would be complete without a large variety of high tech equipment to help them in their investigations into the spirit world. D.A.P.S., being an advanced professional group, has invested many dollars on some of the best equipment available. Every group starts out small, and D.A.P.S. is no exception. In our meager beginnings years ago, we only had two digital cameras, and a Digital Recorder in our arsenal. Today, D.A.P.S. has expended that arsenal to include nearly all of the generally accepted high tech equipment needed for us to do our work. This page is dedicated to showing prospective clients what we would be using during our investigation of their location, and as a learning tool for those thinking of starting a group, or expanding the one they already belong to. The piece of equipment is our new Full Spectrum Capable Camcorder with plenty of SD Storage. Our model is a Ordro. It is the digital equivalent of the old SONY Night Shot Camcorders with built in IR that you cannot get here in the US any more. It is only available over seas. It can be used as a regular Camcorder, an IR Camcorder or a Full Spectrum Camcorder. D.A.P.S. uses the Full Spectrum Camcorder as a walk around recording device in remote locations where its not possible to set up other equipment. It can be mounted on one of our tripods if needed. This replaces the old mini-DVD we had and rarely used because it was so poor in the IR light. Also new in our equipment arsenal is an IR Floodlight with mounting bracket. This unit will be used with the new Full Spectrum Camcorder. It uses a 9V battery so we do not use up the Camcorder batteries. This replaces an old junker plug in illuminator we bought years ago on Amazon that worked about 1 time before catching fire. Another relatively new piece of equipment is an Ovilus 3. This device is the latest in technology featuring multiple modes of operation, a full dictionary, a back lit display screen, EMF Detector, thermal detector, and display of the result words for ease of interpretation. 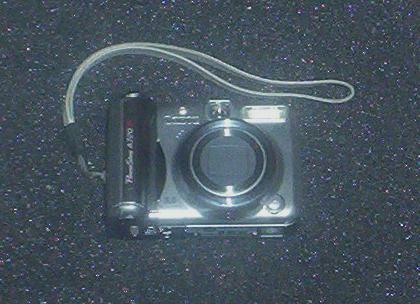 Another newer piece of equipment is a Full Spectrum Digital Camera. This camera is capable of taking still photos and video in full spectrum thus allowing it to pick up objects in a wider range of lighting not normally utilized by the human eye. Another one of newer pieces of equipment out there is a Spirit Box. This device scans the FM band white noise to pick up spirit voices. DAPS has a new Spirit Box device that scans the FM band in various speeds and can be used with or without an external speaker. The most basic piece of equipment would have to be the Digital Thermometer. This device helps team members monitor the temperature in the area being investigated. Changes in temperature of more than one or two degrees will raise an alarm that there may be paranormal activity happening. Generally these would be in the form of unexplained cold spots, which are believe to be caused by a spirit drawing the heat and energy out of the air in an attempt to manifest. The next piece of equipment is very important and is the most likely to produce valid evidence of paranormal activity at a location. That would be the Digital Voice Recorder. The Digital Voice Recorder is an excellent tool for conducting EVP or Electronic Voice Phenomena sessions. These sessions are simply question sessions conducted by the investigators in an attempt to get a response from any spirits in the area. These evidence are generally voices and/or noises not heard by the human ears of the investigators during their investigation. D.A.P.S. has six Digital Voice Recorders in their equipment roster. Another critical tool used during an investigations is the Digital Camera. This piece of equipment is excellent for capturing shadows, odd lights, mists, and orbs. They are also useful to validate EMF meter spikes. D.A.P.S. has two different Digital Cameras in its arsenal. The first is a fairly basic Kodak CX6000 Easy Share. It is more then sufficient for taking basic photos during an investigation. Our second camera is a more advanced Canon A720IS model which is fitted with a 60GB memory chip. This camera is also capable of recording movies. This feature is handy in the even the investigators are experiencing spikes with the EMF meters, or witnessing shadow or mist movements. It is also IR capable. Many locations are extremely dark and dangerous. With that in mind a simple piece of equipment was added to the teams arsenal. We have four mini-led flashlights of the twist on type. These are used by the investigators when needed for safety, and for conducting interaction sessions where spirits in active areas are asked to turn them on or off at the investigators request in order to validate their existence. Also included in the D.A.P.S. equipment cases is an EMF or Electro Magnetic Field detector. These devices will pick up on concentrations of energy generally believed to occur when a spirit is attempting to manifest. These devices are also useful for determining if environmental conditions exist in an area that may be causing the client to believe something is happening, when there is a natural cause for their feelings. D.A.P.S. has a K2 style meter which uses the light bar as an indicator of high levels being detected. Our K2 model is the newer updated design that you do not have to hold the button down or stick a coin in it to keep it in the "on" mode. No paranormal group would be complete without Walkie-Talkies. D.A.P.S. has a matching set of four Cobra Walkie-Talkies for use by the investigators. Most of this smaller equipment is protected and organized inside a protective professional equipment hard case. So far we have talked about generally basic equipment that most paranormal groups should have in their tool boxes. D.A.P.S. has progressed farther in this regard making a larger investment in more and better equipment. D.A.P.S. has acquired a Dell Laptop for use during their investigations. The laptop enables D.A.P.S. investigators to upload their EVP and digital photo captures at the investigation site. This keeps the devices with full memory available for recording at all times, and allows the team members at the Command Center to begin reviewing captured evidence. It also allows D.A.P.S. members to monitor other equipment. It is internet capable provided there is a nearby wireless uplink. D.A.P.S. has also obtained a four channel DVR system with 500GB hard drive for their equipment roster. This handy piece of equipment will handle the recording from the CCD IR day/night Cameras D.A.P.S. has also obtained. This unit has a built in monitoring screen so D.A.P.S. team members can monitor the recoding as it happens, and review anything they see that might be out of the ordinary without interrupting the recording process. A larger monitor or TV can also be attached if required. It is capable of recording for several days if needed, and the recorded data can be transferred to any Zip drive for loading onto the PC or laptop where it can also be reviewed. D.A.P.S. protects this piece of equipment by storing and transporting it in a professional equipment hard case. Along with the DVR recorder, D.A.P.S. has also obtained four weatherproof CCD day/night Color IR Cameras for recording in the dark. These cameras are illuminated with 24 IR LED's with a range of 40 feet. D.A.P.S. protects and transports these pieces of equipment in their own professional equipment hard case. To facilitate the use of the CCD day/night cameras, D.A.P.S. has acquired four tripods on which to mount them during the investigation so we can avoid having to tape them to the clients furniture or other objects at the location. The tripods are Dynex 60" braced leg in a nice dark gold finish, and fold up into 18" long bundles which are stored in their individual carry cases. Each tripod has a removable mounting plate which has been fitted to an adapter to facilitate mounting the CCD day/night IR Cameras. This makes it a quick flip of a lever to mount or dismount the cameras. D.A.P.S. also obtained an extra removable mounting plate for each tripod so they can quickly attach a Digital Camera or the mini-DVD if needed. To hook up the CCD day/night IR Cameras to the DVR system, D.A.P.S. obtained 350 feet of BNC cables. These are paired Coax and Power cables which will connect the image data streaming to the DVR, and at the same time supply power to the CCD day/night IR Cameras. These cables are stored on cable spools which facilitate the retrieval and gathering of the cables after the investigation, and provide a safe place for neat clean long term storing of them. The last pieces of equipment are the most important. D.A.P.S. has acquired a variety of different extension cords to facilitate the hooking up of various pieces of equipment at the Command Center, and for use in other areas such as the location of the IR Illuminator and mini-DVD pair. D.A.P.S. Command Center table. This is used for setting up the DVR with its monitor and the laptop so we can monitor the progress of the investigation, and download evidence from the cameras, and digital recorders. D.A.P.S. will also use this to present their findings to the client. D.A.P.S. 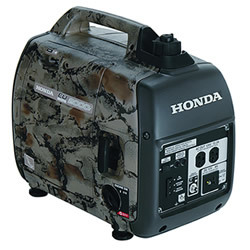 has also acquired a portable Honda EU2000iA Generator. This generator is capable to powering all of our equipment in the event that the location has no electrical hook up. This generator has a new generation inverter which is not harmful to, and will not interfere with, sensitive electronic equipment. Best of all its quiet, and will run for up to 15 hours on one gallon of gas. Why, because we're serious! There are other important pieces of equipment that D.A.P.S. uses to conduct investigations. Note pads, pens, gaffing tape, extra batteries, and a few minor tools to name a few. Although minor, they all play an important role in D.A.P.S.' operations.